Did you know that deep venous thrombosis (DVT), the formation of blood clots in the lower limbs, is the third most common vascular disease in North America after heart attack and stroke, and is a frequent complication in hospitalized patients? 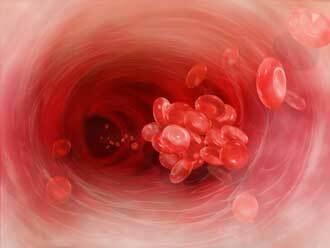 Did you know that DVT and pulmonary embolism could affect adults of every age and ethnic group. The Canadian Institutes of Health Research (CIHR) Café Scientifique and the Jewish General Hospital (JGH) are proud to present Lots About Clots, a free event where thrombosis experts from the JGH will help you learn how to reduce your risk. Experts from JGH include Andrew Hirsch, MD, Pulmonologist ; Vicky Tagalakis, MD, Internist and Epidemiologist; and Jessica Emed, RN, MScN, Clinical Nurse Specialist in Thrombosis. Susan Kahn, MD, Director of the JGH Thrombosis Program and Professor of Medicine at McGill will moderate the discussion.